Pakistani authorities will not allow Asia Bibi to leave the country until the Supreme Court makes a final review of its verdict. 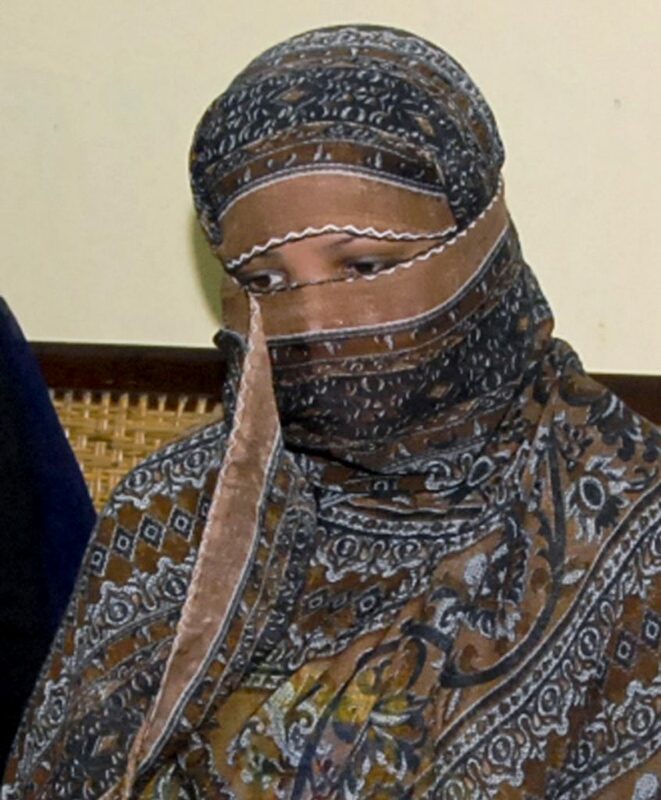 ISLAMABAD — The release of a Christian woman in Pakistan, acquitted eight years after being sentenced to death for blasphemy, was delayed Friday after authorities agreed to bar her from flying abroad following talks with radical Islamists who want her publicly hanged. The agreement between the government and the Tehreek-e-Labbaik party was reached in the city of Lahore, where Islamists have been rallying since Wednesday, when the Supreme Court overturned the 2010 conviction of Asia Bibi for insulting the Prophet Muhammad. Pakistan’s Supreme Court has not been known to reverse its decisions but court reviews typically take years. Bibi’s ordeal will continue until the review is completed. The latest development will likely irk rights groups calling for the release of Bibi, who has spent nine years in jail since her arrest in 2009. Bibi’s family has always maintained her innocence and says she never insulted Islam’s prophet. Since Wednesday’s landmark ruling over Bibi’s acquittal, radical Islamists have blocked highways and damaged or set fire to dozens of vehicles to pressure the government to prevent Bibi’s release from an undisclosed detention facility. Earlier in the day, some 5,000 Islamists rallied in the capital, Islamabad, and nearly 4,000 demonstrators staged a sit-in in Lahore, demanding that Bibi’s acquittal verdict be overturned. Similar rallies were also held in the northwestern city of Peshawar; there were no reports of violence.